With the Tumescent technique, infiltrating the local anesthesia is associated with minimal discomfort. Once the area has been completely numbed, surgery in that area is essentially painless. In addition, because the numbness remains in the treated area for more than 12 hours, there is no pain immediately after surgery. Tighter Skin—Smartlipo Triplex™ allows more complete melting of the fat using advanced MultiPlex (MPX) laser techniques, in which two wavelengths of laser energy are used for not only superior sculpting of the fat, but also, the biggest advancement in liposuction surgery-skin tightening. The MPX Smartlipo Triplex™ is unique in that it gives Dr. Marks the opportunity to focus on skin tightening following fat reduction, and this produces smoother, more natural and superior aesthetic results. Minimal Recovery Time—Smartlipo Triplex™ can be done under local anesthesia, and therefore patients are ambulatory following the procedure, with no downtime. In fact, it would be more accurate to describe Smartlipo Triplex™ under local anesthesia, as being associated with “up” time! This has been very rewarding for the patients, Dr. Marks and his staff. Minimally Invasive—The Smartlipo Triplex™ is a minimally-invasive laser surgical technique, performed by using a smaller-than-a-fine-point-pen fiber optic laser. Therefore, the entry points in the skin are very small and leave an inconspicuous scar. The laser wavelengths close down the blood vessels, so the result is associated with not only minimal surgical trauma, but also minimal bruising, swelling and resultant quick recovery. There is minimal discomfort, and Dr. Mark’s patients often tell him that they did not need to take any pain medications the evening of surgery. The Smartlipo Triplex™ patients that have local anesthesia can drive the next day if they are off of pain medications and can return to their normal daily activities in one to two days after surgery, depending on each individual patient. Targets Unwanted Pockets of Fat—Smartlipo Triplex™ can also be used to treat larger areas of fat accumulation or multiple areas of fatty deposits. However, in these cases the patient may need to have general anesthesia. It is normal in these patients for the recovery to be longer. Some patients may prefer to have several areas treated at one surgical setting. These patients are done in his private, ambulatory plastic surgery center under the guidance and supervision of board-certified and experienced anesthesiologists. Having a shapely bottom can make a huge difference to the overall shape of your body. Round, high buttocks can make the waist and thighs look smaller and make the rest of the torso look more proportioned. The problem for most people is that the buttocks are a difficult part of the body to shape through exercise alone, particularly if yours are naturally flat. If you have always wanted more defined buttocks but don’t want to risk painful surgery, then you’ve come to the right place. 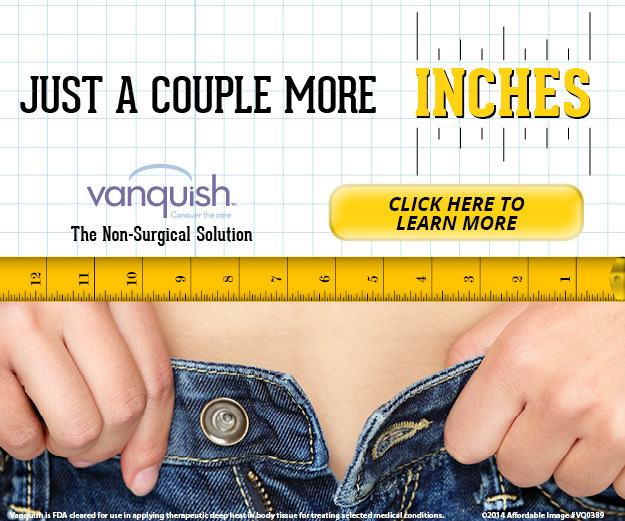 At The Private Clinic we can help you get the body you want without major surgery or implants. Fat transfer withliposuction is a minimally invasive procedure that reshapes the lower back and saddle bags, to make the bottom look more shapely and higher. The fat is then transferred to the bottom under local anaesthetic, for that rounded look. Flat or shapeless bottoms look rounder, plumper and firmer. Downtime is minimal. However because there may be some bruising and swelling, it is best to wait one to two weeks before you hit the gym or do any rigorous physical activity. To aid recovery you may be advised to undergo a course of Manual Lymphatic Drainage massages, which your doctor will explain if necessary. Buttock Augmentation with Fat Transfer should be seen as a 2-in-1 procedure with the liposuction taking place at the first stage of the treatment. The ideal candidates for Buttock Augmentation with Fat Transfer are those that are keen to lose stubborn fat, typically from areas such as the back and flanks together with those wanting a more shapely and rounded buttocks. Once the minimally invasive liposuction process has taken place, the refined fat will then be administered under local anaesthetic with a small needle and then a cannula using an advanced layering technique. The entire procedure typically takes 3 hours to perform and can be done under local anaesthetic, resulting in a quicker recovery for the patient. No, the area will be numbed with a local anaesthetic before the treatment begins, so you’ll feel no pain during the procedure. You will see results straight away, however results will improve as the implanted fat becomes a part of your buttocks during the months after treatment. Results are permanent, as long as your keep your weight stable; however the implanted fat will change and evolve naturally as your body ages. Most patients will experience discomfort around the treated area for 1-3 days and may also notice a dull ache for a further 1-4 weeks. You may also notice some swelling and bruising. Possible complications include the risks outlined with the prescribed medications and the risks associated with any surgical procedure. A small waterproof dressing to the injection site on your buttocks will be applied, which you will need to wear for ten days. We will also prescribe a course of antibiotics to help reduce the chances of infection. For the areas treated with liposuction you will need to wear a compression garment for three weeks and avoid strenuous exercise whilst wearing it. Sclerotherapy - For great looking legs!